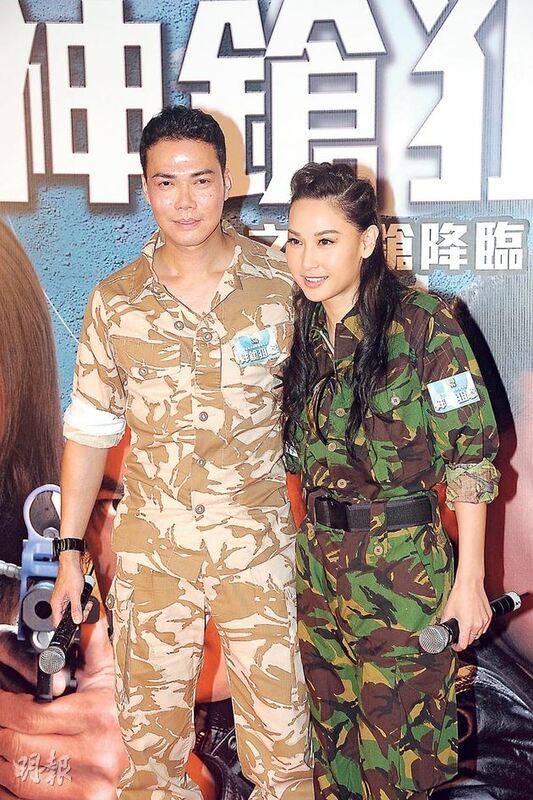 Yesterday Michael Tse, Kate Tsui, Eddie Cheung, Kathy Chow Alice Chan and Eliza Sam attended the promotional event of TVB new series Sniper Standoff. 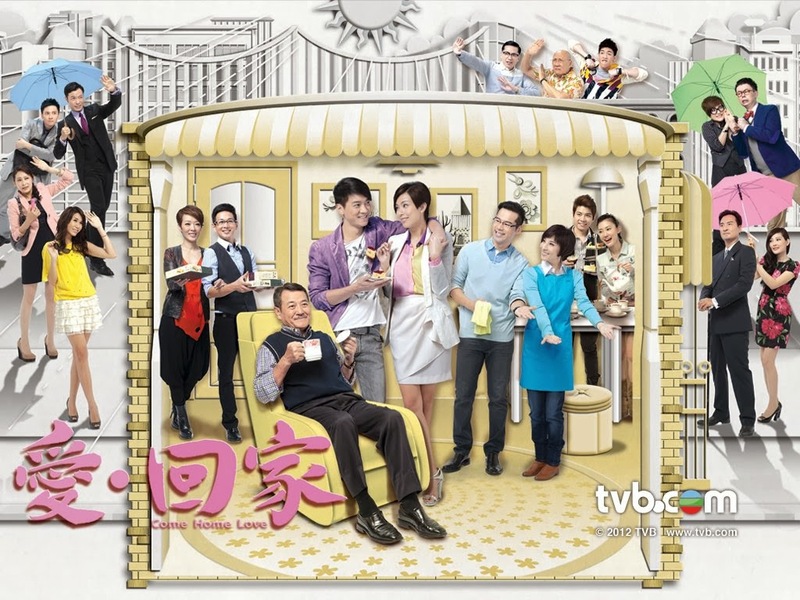 This is Michael's last TVB series before his contract expires. Asked of his future plans? He expressed he wants to concentrate on preparing for the Life of Friends Concert (歲月友情演唱會) held in November and everything else, he'll disclose in 2014. After reporters pursued the question, Michael finally blurted out he opened his own work studio called "Laughing Workshop" and may sign a management contract again. He also welcomes his friends to invest in his workshop. Asked if he'll ask Ekin Cheng, Chin Ka Lok and Jordan Chan to invest? Michael said: "They have their own companies." 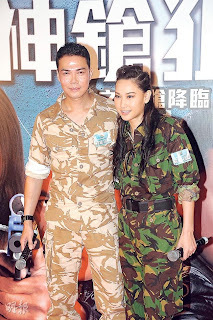 When asked about returning to TVB, Michael joked: "The condition is I have to work with Kate Tsui and having kiss scenes would be the best. I will be signing a per-series contract with TVB soon." Eddie laughed and said there are too many big boys in the series, so he didn't have to show his muscles. "I'm the steel bar type, sturdy and no belly fat." Eddie revealed there are many car chase scenes in the series that he personally did himself. TVB brought heavy insurance for him and he had one accident where broken glass flew on his ear. When speaking of his TV rating expectations, Eddie said as long as the ratings surpass 30 points. "I hope to continue Triumph in the Skies II's upward trend!" Kathy also believed there won't be a problem in the ratings; she and Eddie have a relationship in the series. Yesterday after the event, Kathy flew straight back to Beijing and temporarily won't have any more collaborations with TVB. She is currently concentrating on filming in Mainland and endorsements. This is DJ Andre Yue's first series, he played Kathy's ex-boyfriend in the series. He frankly expressed he was a little frightened when he saw the script. "My first scene was a kiss scene with my goddess Kathy. I was trembling in fear, but then I regret that we ultimately didn't have that scene. We still had strolling at the beach and proposal scenes though."